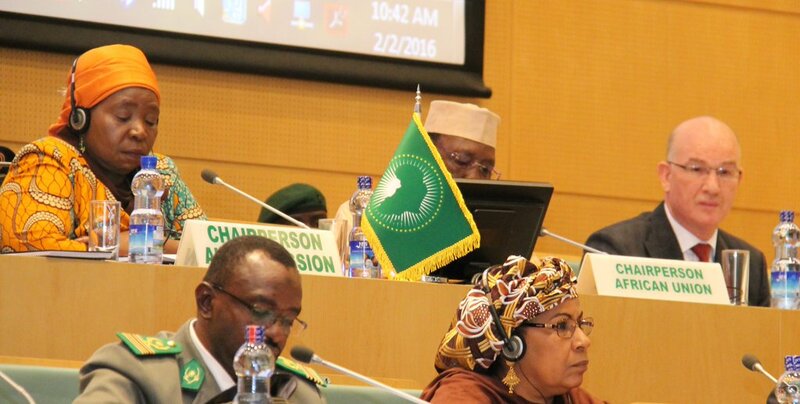 Addis Ababa, 1 February 2016: The Chairman of the African Union (AU), President Idriss Deby Itno, together with the Chairperson of the African Union Commission, Dr Nkosazana Dlamini Zuma, graciously attended the opening ceremony of the Donors’ conference for the Multinational Joint Task Force (MNJTF) against Boko Haram. 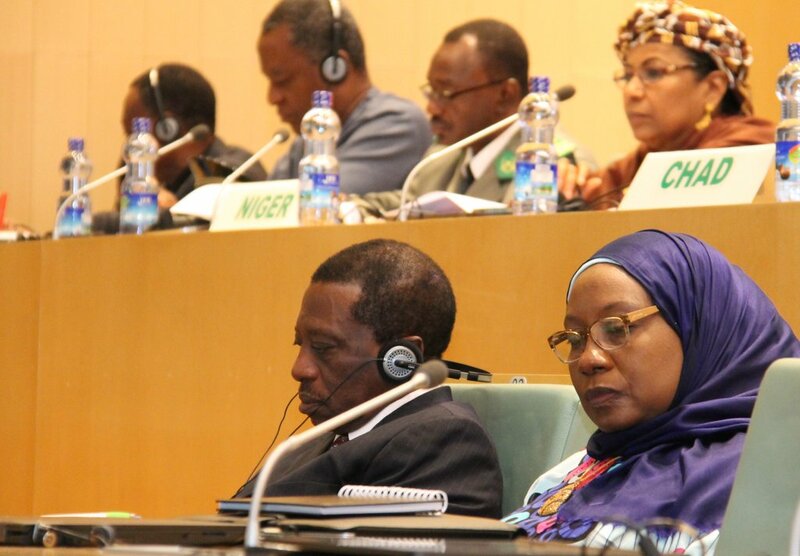 Also present were the AU Commissioner for Peace and Security, Amb. Smail Chergui, the Special Representative of the United Nations Secretary General (SRSG) to the African Union, Haile Menkerios, the Head of the UN Office for West Africa, Mohamed Ibn Chambas, the Head of the UN Regional Office for Central Africa, Abdoulaye Bathily, the Executive Secretary of the Lake Chad Basin Commission (LCBC) and Head of Mission of the MNJTF, Engr Sanusi Imran Abdullahi, as well as the representatives of the respective countries of LCBC and Republic of Benin at the Ministerial level and other distinguished representatives of AU Member States and partners. The Chairperson of the Union reiterated the important role of MNJTF in the fight against Boko Haram as expressed in its approved mandate and the necessity to support MNJTF Troop Contributing Countries in their efforts to fight Boko Haram. 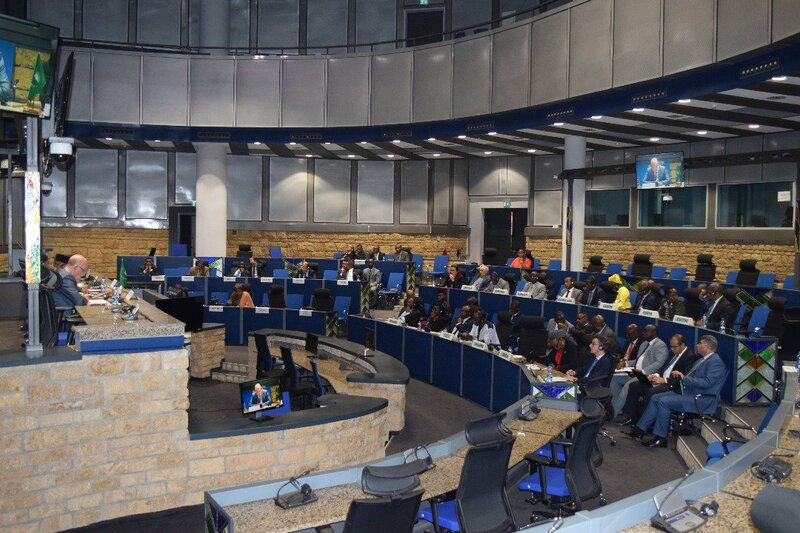 He recognised the resoluteness and determination of LCBC Member States and Benin to restore peace in Lake Chad Basin region. The Commissioner for Peace and Security expressed gratitude for all the support provided to MNJTF that complements the tremendous efforts by LCBC Member States and Benin in their efforts to fight against Boko Haram. 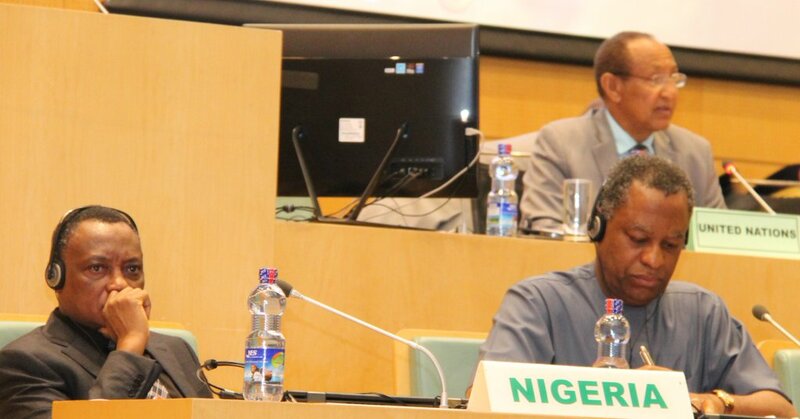 He welcomed additional contributions in cash and in kind to allow the swift constitution of the AU Trust Fund for MNJTF operations against Boko Haram. 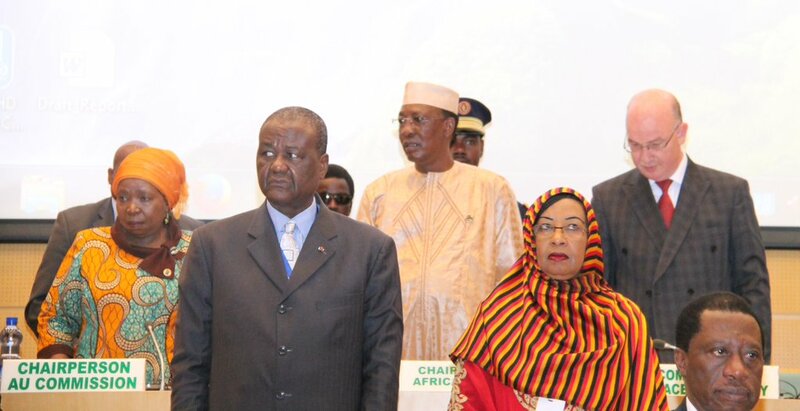 The representatives of the LCBC countries and Benin stressed that the terrorist acts of Boko Haram have led to loss of lives, mass internal displacement of populations and dire socio-economic conditions. They appreciated the additional support extended to their efforts in the fight against Boko Haram and reiterated their determination to defeat it. 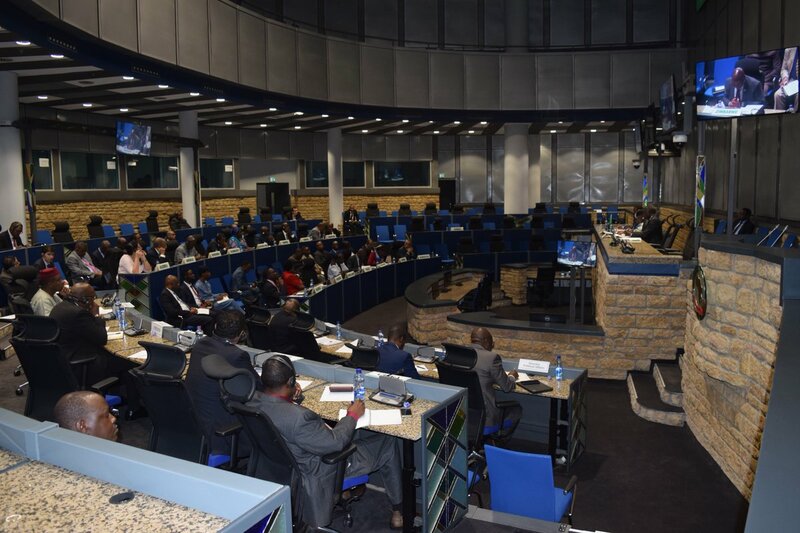 While expressing solidarity with countries affected by the Boko Haram, present AU Member States and International Partners recognised the global threat of the terrorist group which requires collective efforts, and pledged to provide financial and technical support for LCBC Countries in their efforts to fight terrorism. The total contributions pledged to the support of MNJTF, since its inception, and to provide humanitarian assistance as well as development support amount to $ 250 million (USD).